I&apos;ve never seen the film Pulp Fiction, although like most of us, I&apos;ve seen enough images and references to understand it has pop-culture significance, particularly re: the resuccitation of John Travolta&apos;s film career. ( Chanel Vamp did the same thing for nail polish much in the same noir-ish way; it&apos;s the nail colour Uma Thurman wears in Pulp Fiction.) 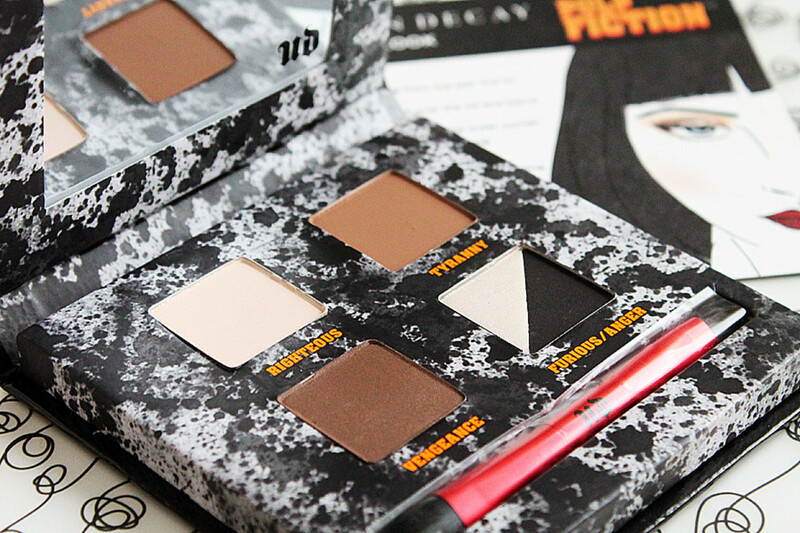 Urban Decay is certainly feeling the film-noir vibe; it&apos;s all over the Urban Decay Pulp Fiction collection for Fall. Cigarette not included. 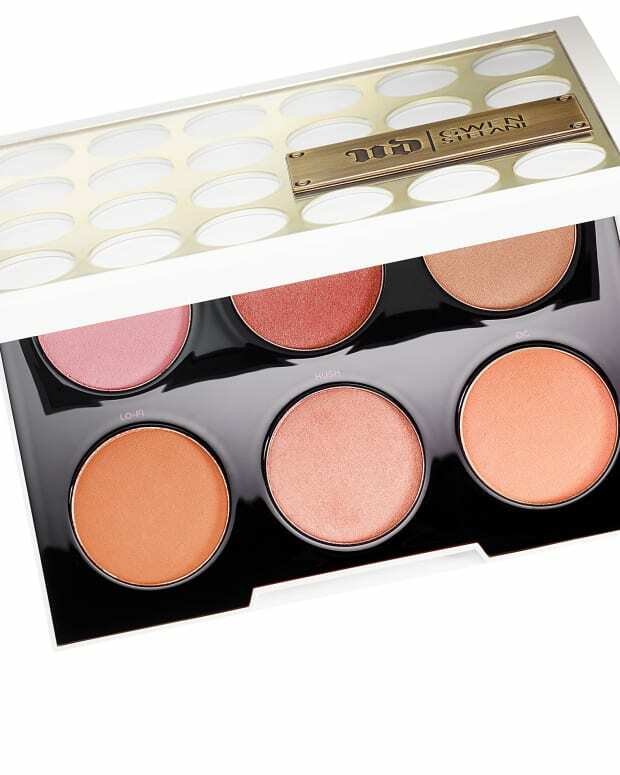 Pulp Fiction is celebrating its 20th anniversary this year, a milestone that clearly inspired Urban Decay co-founder and chief creative officer Wendy Zomnir for Fall. (UD always likes a bit subversive cheek, right?) 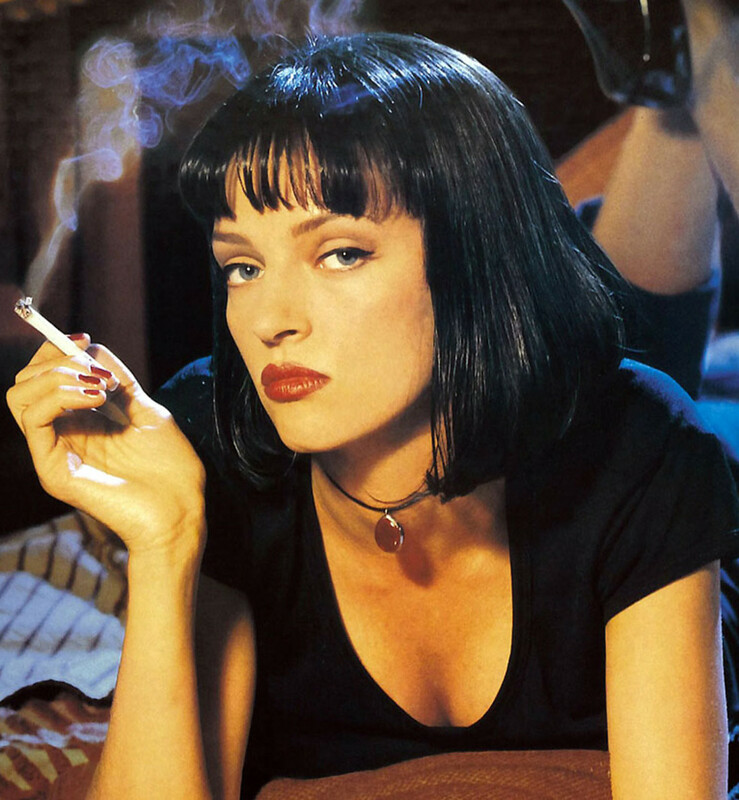 The Urban Decay Pulp Fiction collection spins on a quintessential 90s look: defined brows, defined lash-line, darkened lips -- Uma Thurman&apos;s makeup as Mrs Mia Wallace. Let&apos;s look. 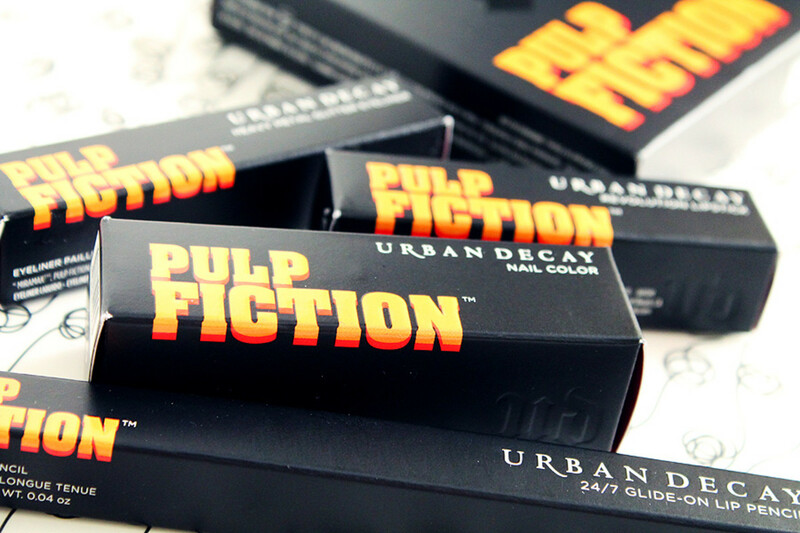 You don&apos;t have to know Pulp Fiction to get into the Urban Decay Pulp Fiction look, obvi. A how-to card is helpfully included in the eye-shadow palette box. 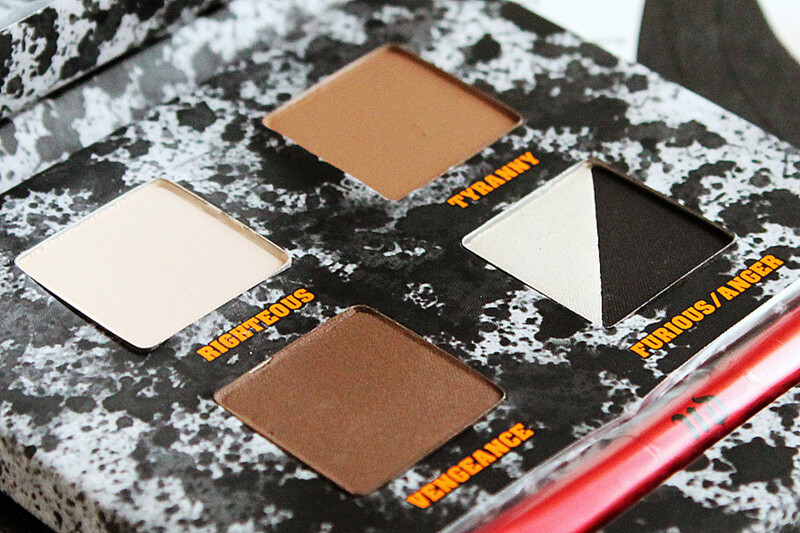 Three of the Urban Decay Pulp Fiction eyeshadow palette shades are new. Righteous is a matte light cream; Tyranny is a matte warm brown; Vengence is a matte-satin deep taupe brown; Furious is a satin white; and Anger is a satin black with subtle black sparkle. Question: can a palette with such aggressive names take you to a happy makeup place? 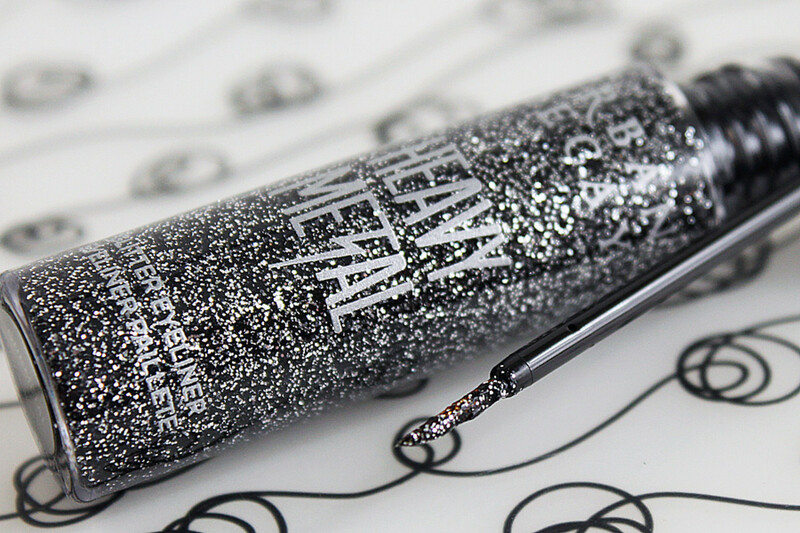 An Urban Decay Pulp Fiction Heavy Metal Glitter Eyeliner in Gunmetal ($23) is more a nod to the movie itself than to Uma Thurman&apos;s Mia Wallace character. Paraben-free if that&apos;s your trigger. 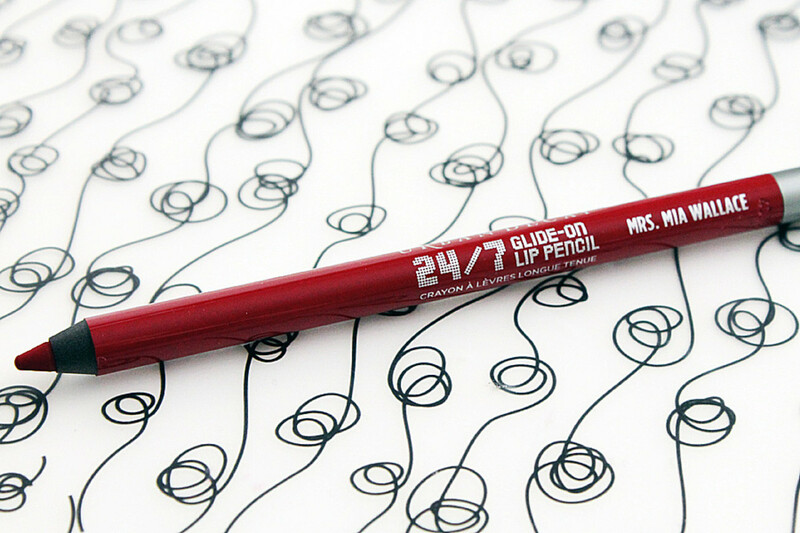 This Urban Decay Pulp Fiction 24/7 Glide-On Lip Pencil in Mrs Mia Wallace ($24) is an essential for creating a long-lasting base for the matching lipstick. That said, I haven&apos;t used lip pencil in forever. You? 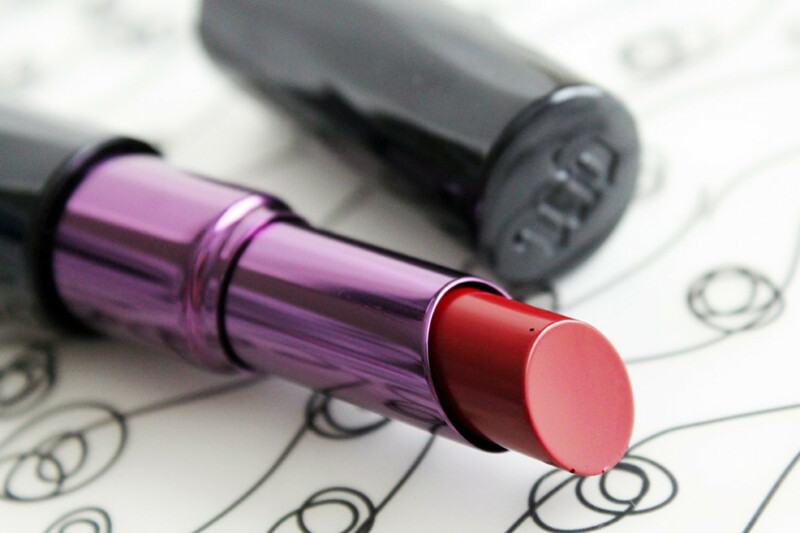 The Urban Decay Revolution Lipstick in Mrs Mia Wallace ($26) is a deep "blood red," appropriate given the reference. I haven&apos;t swatched it yet; I do prefer brighter shades because they&apos;re more youthful. But I&apos;ma give this a try and see how it goes. 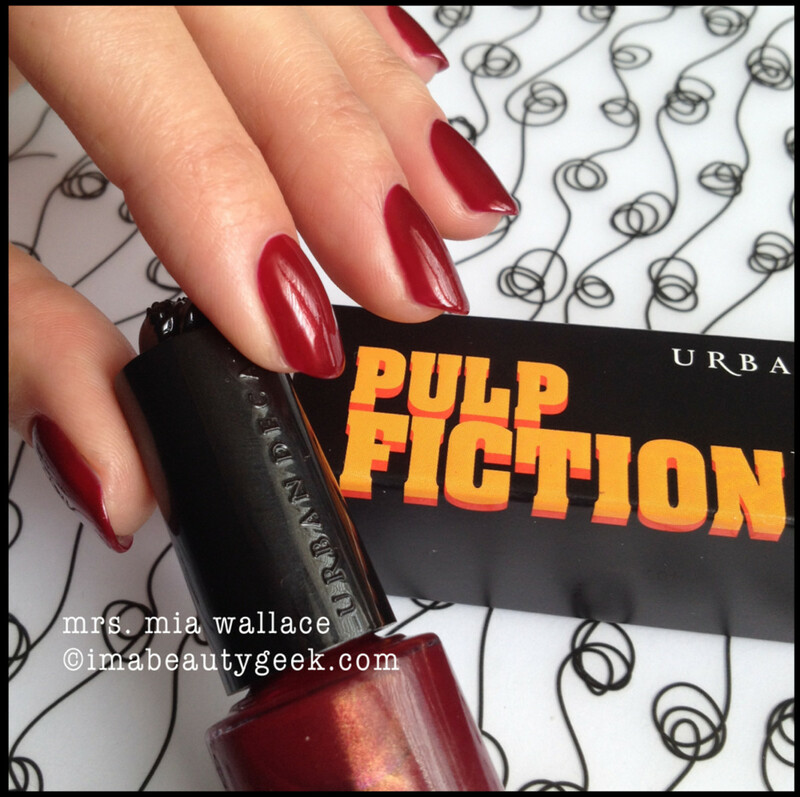 Urban Decay Pulp Fiction Nail Color in Mrs Mia Wallace ($18). 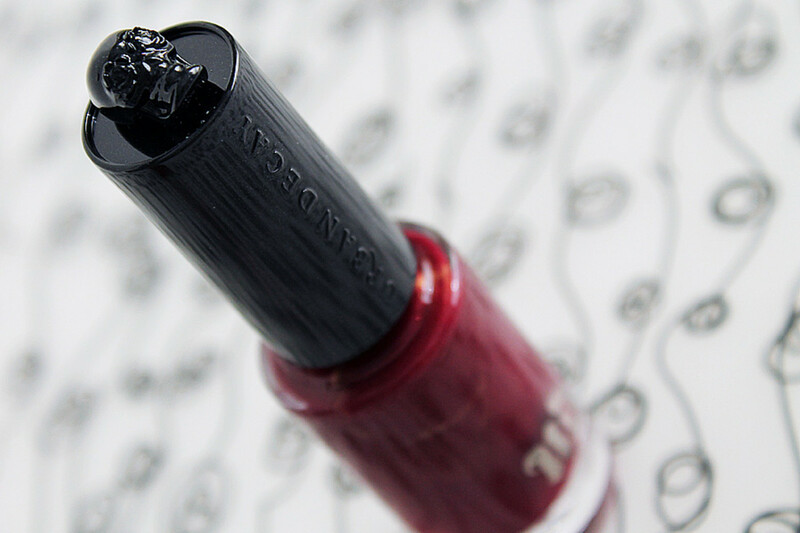 Deep red with a hit of shimmer, a three-free formula (no toluene, formaldehyde or DBP). Naturally I fired the Urban Decay Mrs Mia Wallace nail colour off to mani-geek Karen for a swatch. She says the brush is much thinner than she likes for her generous nail beds, but she got a pretty-much-perfect finish with a bit of finessing. As she does. 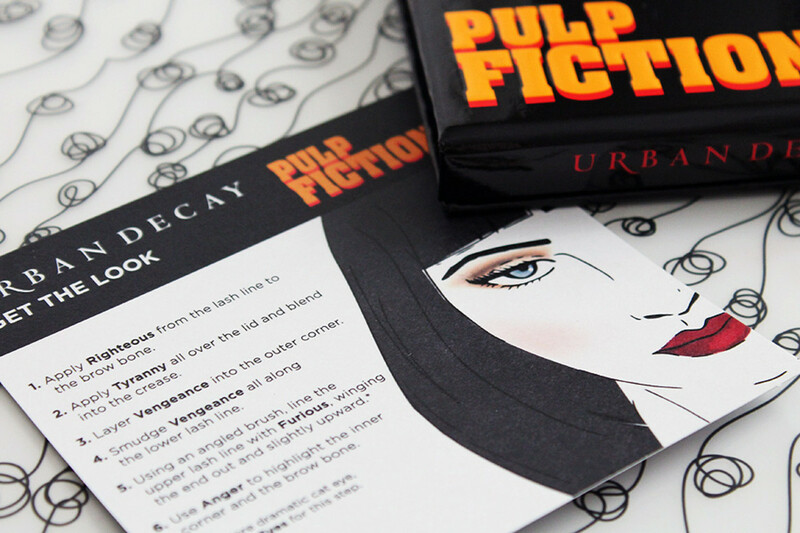 The Urban Decay Pulp Fiction makeup collection will land at Sephora and select Shoppers Drug Mart locations in August. Until then, please enjoy perhaps the most pop-culture-y clip from Pulp Fiction, the scene featuring That Dance with Uma Thurman and John Travolta. Have you seen Pulp Fiction? Are you a fan? 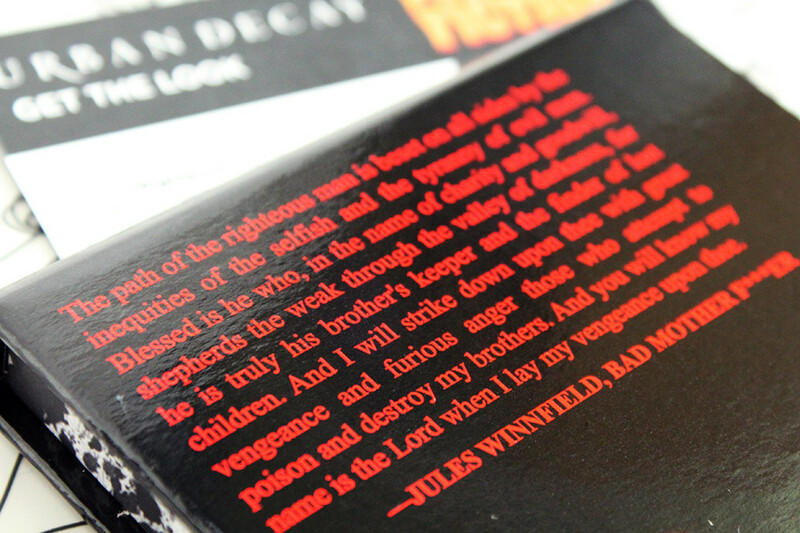 Are you into this Urban Decay Pulp Fiction collection? UPDATE: Just saw Pulp Fiction for the first time. OMG, what took me so long?? So good. I need to see it again so I can memorize more lines than "Take it to a friendly place!" Also, despite wanting to slap this particularly annoying character, I now have a wicked craving for blueberry pancakes. 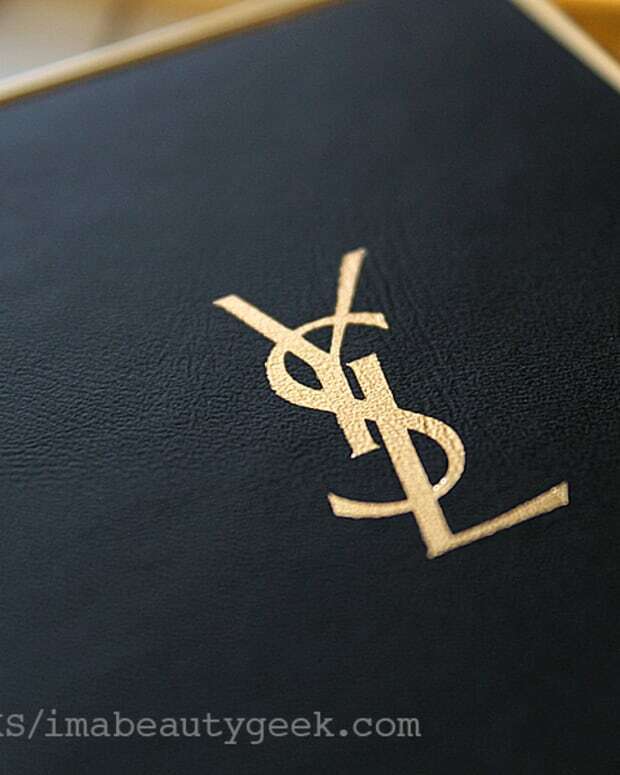 WHAT'S YOUR NEWEST PALETTE PURCHASE?